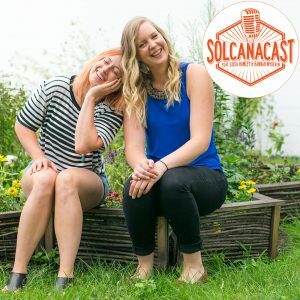 This week on Solcanacast Lucia and Hannah bring on the delightful human that is Lauren Anderson, actor with Brave New Workshop, improvisor at Huge Theater and so, so, so much more. Tune in to learn about how Lauren came to join Solcana Fitness, what brought her to a path of finding and embracing her health and herself through strength training and the nutritional information she learned in the Essential you class, and why muscle is important to all of us and something they all never thought we’d care so much about! FEELINGZ. Strong, badass feelings. Don’t forget to share your strong, badass feelings with us @solcanapodcast on Twitter at any time you please. Challenges: Hannah and Lucia had such a great time with Lauren, they ran out of time for their challenges! Tune in next time to hear what they have up their sleeves next for each other.